Did Mancala Games Originate From Early Farming? 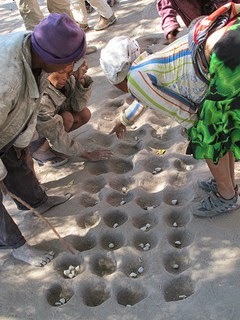 Mancala gameplay revolves around "sowing" your pieces around a game board. According to Wikipedia Sowing is "the process of planting". Thousands of years ago humans very much depended on farming as we do today. However, there were no grocery stores, supply chains, machines, and the robust worldwide economy that we have today. It's interesting that most Mancala boards consist of long rows of pits or stores. 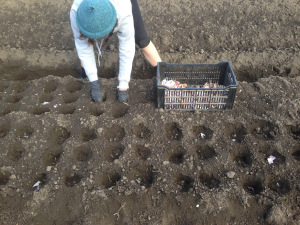 It's also very interesting that most seed based farming consists of long rows where seeds are sowed. 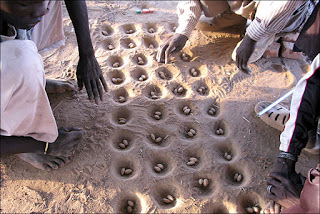 As you can see from the images below one can only imagine how Mancala originated. Perhaps one hot sunny day, several thousand years ago, two farmers decided to take a break in the shade of a tree. They had been planting seeds all morning long and the hottest part of the day was upon them. They lifted their heavy sacks of seeds off their backs and sat down. Perhaps they became bored or maybe one of the farmers was just learning how to layout a farm plot, and the dirt beneath them was used to teach. 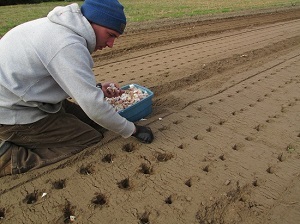 Either way, the connection between farming and Mancala seems more than random. 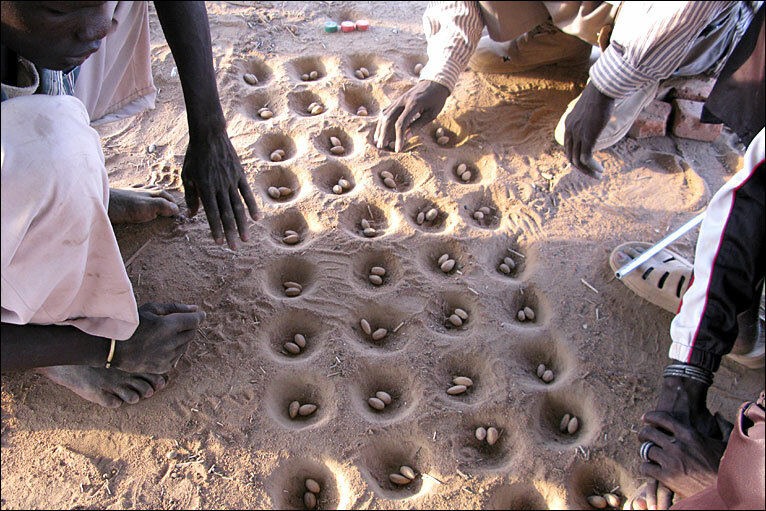 A game of sorts could easily develop between players with nothing more than seeds, dirt holes, and an imagination. Mancala is so old there really is no "official" origin or inventor so one must use their imagination.